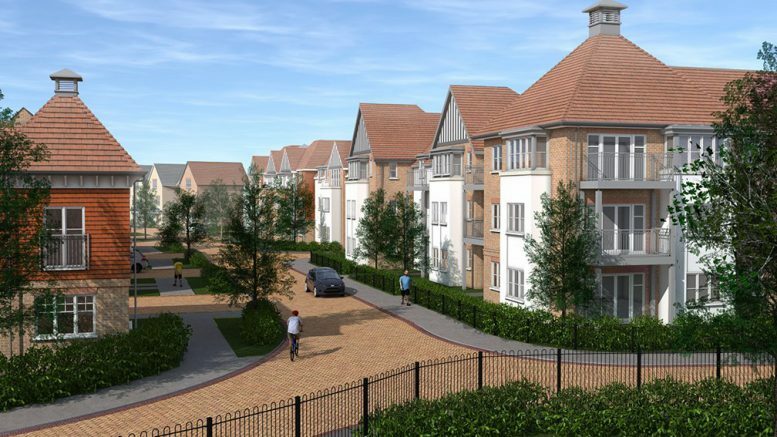 Bromley Council has effectively green lighted a major residential housing development in Beckenham which includes 280 new homes as well as a separate care home for the elderly. Planning permission was sought for redevelopment of land on South Eden Park Road which was previously occupied by GlaxoSmithKline as a research and development facility. The application will now be referred to the Mayor of London who does have the power to call the decision in or reject the decision. The current application proposes residential use of the site for 280 units as follows: a block of 119 flats; 161 houses; a care home providing 100 units for the frail elderly; retention of the existing sports pavilion and retention of the spine road and provision of open space and associated works. The latest plans were revised from previous proposals, with the main changes including the removal of flats over garages and a lower car parking ratio. However, a number of local residents have expressed concerns over the development, including in regards to a lack of affordable housing and increased traffic congestion. One such resident, a Mr Sherwood, said: “It is a complete nightmare already with far too many cars at both the Chinese Roundabout and the roundabout that adjoins Bucknall way. This is particularly bad during school term times, morning and late afternoon. “With the development already approved that adjoins the Chinese Roundabout the extra population in a small area would cause a great deal of stress and discomfort to the existing dwelling houses. “The intended care home also creates far more disturbance than a residential dwelling with out of hours visits/potential ambulances etc. This opinion and admonishment has been voiced by many local resisdents. Mainly the ridiculous traffic that we are potentially facing. What are your thoughts on the development? Is it good for the area or will it create more problems than benefits? Email editorial@newsinbeckenham.co.uk with your views. Be the first to comment on "Major residential development gets the go ahead"
Tomorrow we will be at the first @CHCelebrates with some awesome beer for you to drink! Alongside us there is over 20 indie businesses from the local area serving up fantastic food, art and gifts! #Beckenham Library celebrates its 80th #anniversary.